"It should be clear that statins are life saving for people who have already had a heart attack, and people should not go off their medication without seeing their GP." 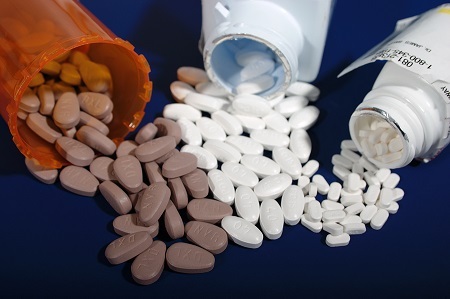 An "alarming" number of people with high cholesterol have stopped or changed their cholesterol medication as a direct result of an ABC Catalyst program, a report released by the National Heart Foundation of Australia has shown. The charity surveyed 1094 Australians who have been prescribed cholesterol medication, commonly known as statins, by their health professional to understand the impact the TV program has had on their medication routine. The survey showed: 29 per cent reported after watching the program they were initially confused, worried or scared that they were taking unnecessary medication; 25 per cent have seen their GP / health professional to discuss their medication since the program; 22 per cent changed their medication adherence, either by stopping, stopping then restarting or reducing the number of medication taken (one in four of those who have altered their medication have previously had a heart event); 12 per cent started taking natural remedies; and 9 per cent completely stopped taking their medication since watching, reading or hearing about the show. Dr Lyn Roberts, the Heart Foundation's national CEO said the organisation has always had serious concerns about information presented in the Catalyst program and now there is strong data to confirm the level of confusion caused within the community. "The survey also showed that almost half of those who completely stopped their medications didn't consult their GP," she said. "What is most worrying is that of the people who have stopped taking their medication, one in four have previously had a heart event, such as a heart attack or stroke. "This is extremely frightening as these are the people who are most at risk of having another heart attack or stroke, and they may not survive another one. Dr Robert Grenfell, Heart Foundation's National Director of Cardiovascular Health added that what's also deeply concerning is the number of high risk patients who've stopped their medication. "If we look at these survey results as being representative of the whole population, there are potentially 55,000 Australians who have stopped their medication as a direct result of the show. 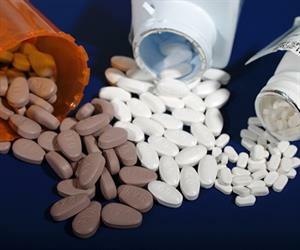 "Around forty per cent of people who completely stopped their medication have either had a heart attack or stroke, have heart disease, or have two risk factors — high blood pressure and diabetes. "The frightening reality is, if many of these people stay off their medication, we could potentially be looking at as many as 2000 or more heart attacks and strokes over the next five years — and that's a very conservative estimate." Dr Roberts concluded: "These results demonstrate how important it is for the federal government to ensure all people at high risk of having heart attacks and strokes are identified early and are managed to keep them alive and well and out of hospital." Once again it just reinforces what a powerful medium TV is. People will literally take everything as Gospel without even considering the consequences or searching for more facts. I do hope that no one suffers any ill effects from ceasing or reducing their medication as a direct result of this program. I wonder will the program then report on this as a follow up to their initial claims? Yes, lets do have a look at the statistics over the next 5 years and see if there is a 2000 increase. If there isn't what happens then, will there be futher more informed discussio on the overuse of statins within the medical community? I watched the Catalyst program and I am a health professional and I thought that there were many good points made about changes to diet and exercise, the so-called lifestyle changes that are apparently too difficult for the GP's to promote. Nobody is making mention of the profits that drug companies and the incentives provided to GP's are making in any of these articles criticising the catalyst program, which I find very interesting. I do believe that some people require statins, I also believe that there are a lot of people on them, who if they are given good unbiased advice would choose to make lifestyle changes rather than commit $40+ per month to a drug company.